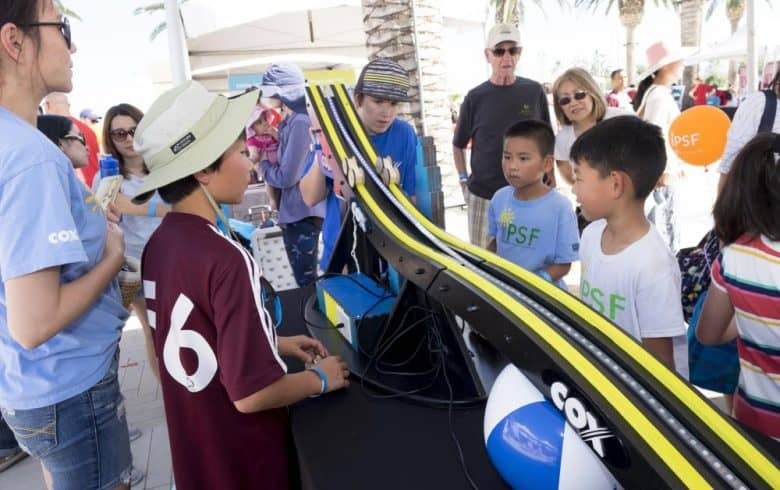 On Saturday, April 27, 2019, IPSF will host the OC STEAM Fest at the Orange County Great Park in Irvine. The STEAM Fest is a fun-filled day for students and families to explore exciting, hands-on activities related to Science, Technology, Engineering, Arts, and Mathematics. Enjoy a fun-filled day of games and activities related to STEAM including Dino Encounters, LEGO® engineering, spin art, and newly added e-sports zone sponsored by Kingston Technology! This event will take place from 2:00 p.m. – 7:00 p.m. Presale tickets online are $10 for children 4 -17, children 3 and under and adults 18+ are FREE! Tickets will be $15 at the door. With participation from corporate, community, and educational partners, the purpose of the event is to spark student interest in STEAM-related fields and careers while uniting the community in support of education.